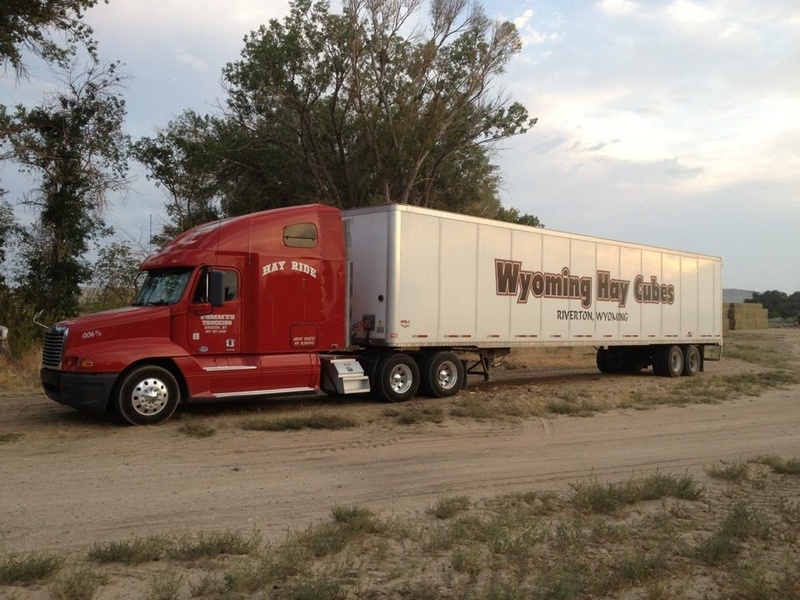 Welcome to Wyoming Hay Cubes, producers of quality alfalfa hay cubes for over 25 years. 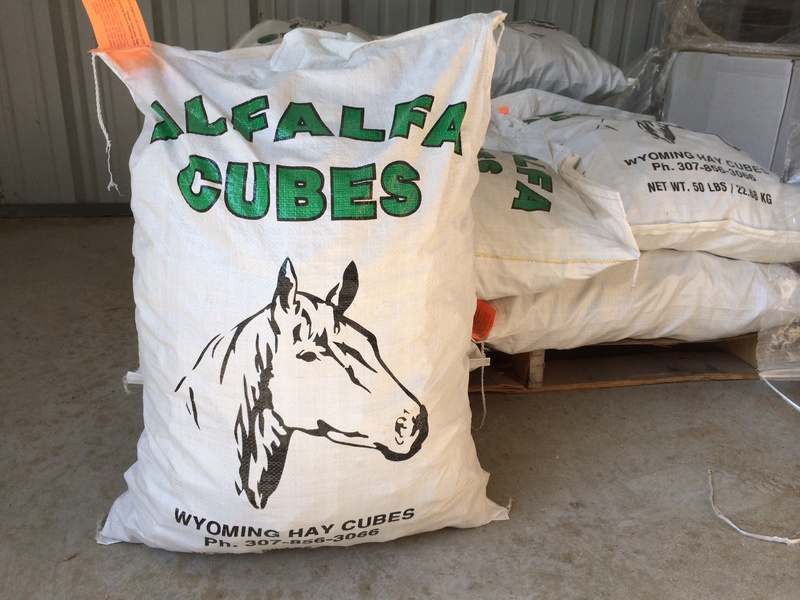 Located in Central Wyoming, north of Riverton in Fremont County, Wyoming Hay Cubes has been producing high-quality alfalfa cubes for over 25 years. Beginning in the mid-70s with John Deere Field cubers, the family operation has been supplying feed to farmers and ranchers in the region for over a quarter century. In 1997, the operation purchased a stationary cuber, resulting in even higher quality alfalfa cubes. 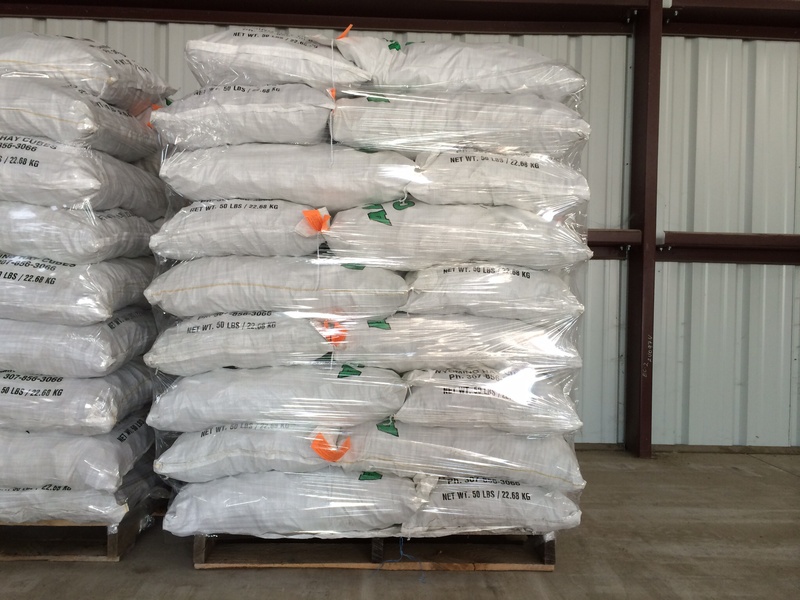 Situated in one of the top 50 alfalfa producing counties in the United States, Wyoming Hay Cubes is in an ideal area for growing alfalfa hay. Since annual precipitation is less than 10 inches per year, the operation produces dry hay with no mold. Additionally, the farm is located on an irrigation project supplied from the Wind River Drainage. As a result, water is consistently available. Given the dry summer conditions and ample supply of irrigation water, harvesting can generally be achieved under dry conditions, resulting in top quality alfalfa. The operation typically takes two cuttings of hay annually. The first cutting usually occurs in early July, and the second is in mid-September. The hay is harvested using a big baler, producing 4′ x 4′ x 8′ bales. These bales are then used to feed a stationary cuber, which processes the hay into small cubes. The stationary cuber grinds the hay, applies a small amount of water, and then compresses the hay into cubes (1 1/4 inches square). Why Choose Hay Cubes for Feed? Less Loss than Loose Hay — While baled or chopped hay results in a large amount of loss, hay cubes result in minimal feed loss. 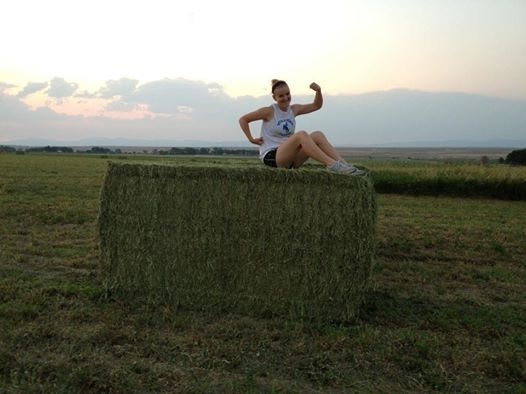 Good Source of Roughage and Protein — The hay grown in Fremont County is high in protein without the need for additives. Coupled with fair pasture, most stock will winter quite well with 30% to 40% less feed. 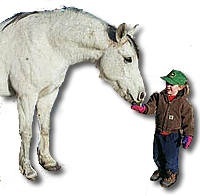 Easy to Handle — The use of hay cubes allows for quick feeding with little manual labor. Rather than handling small bales manually or requiring specialized equipment for large bales, hay cubes are easy to distribute. Cubes weigh approximately 30 to 40 lbs. per cubic foot. Cost Effective — Given the reduced labor required for handling hay cubes and the reduced loss, feeding alfalfa hay cubes makes economic sense. 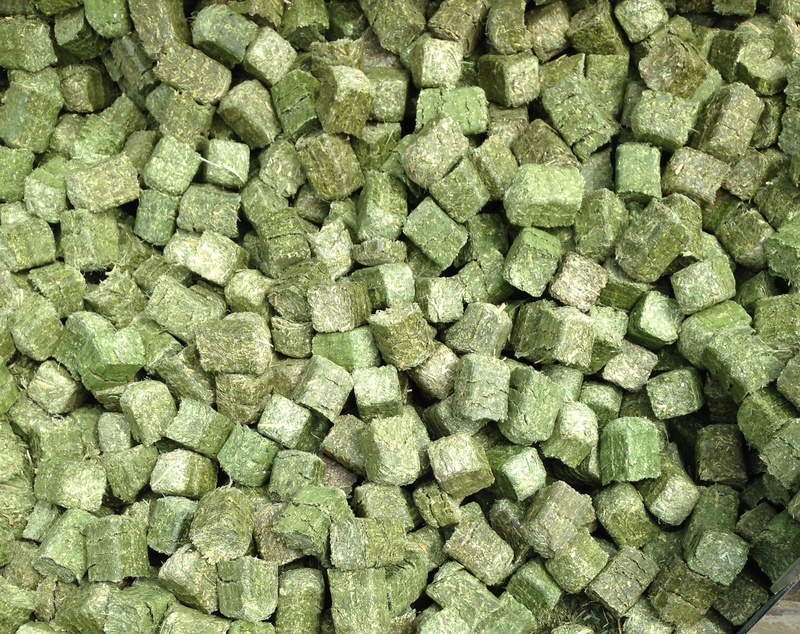 Dollar for dollar, feeding alfalfa cubes is a very cost-effective forage feed. 50 lb. 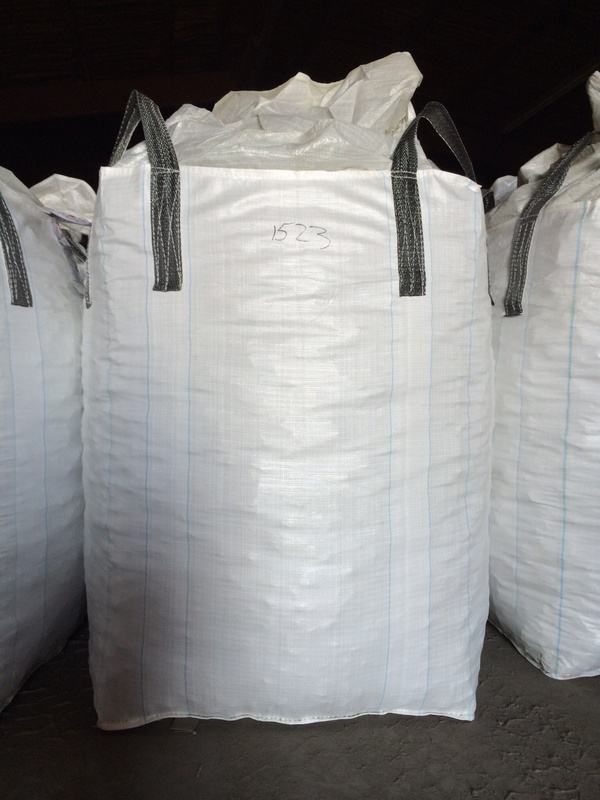 bags –Each pallet contains 44 bags (2200 lbs). All bags are certified weed free by the State of Wyoming. 1500 lb. tote bags — Each tote bag has an open top. Weight will vary slightly due the the density of the cubes in the bag. Each tote is 34″ by 34″ with lifting straps to allow handling and a cone bottom for easy unloading. All bags are certified weed free by the State of Wyoming.